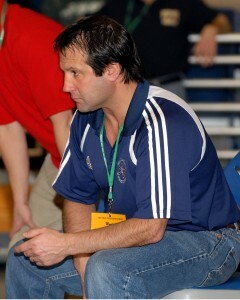 Lighthouse Wrestling will be posting Section VIII’s Chris Edmonds 1985 NCAA DI championship campaign. This is round 1 of Chris’ successful tournament. Lighthouse Wrestling will be posting Section VIII’s Chris Edmonds 1985 NCAA DI championship campaign over the next few weeks. Chris Edmond’s defeated Hofstra’s Wrestler and New York State Champion, Pete Capone, in the finals to win the NCAA title. The finals match is incredible to watch. In this post is round 1 of Chris’ championship battle. If any of you viewers know the names and schools of the opponents, please leave a comment. Matches from the Wantagh, MacArthur Match. Lance Wade(11-Islip,Sr.) , after losing to Eduardo earlier in the season at the Eastern States, defeats Eduardo Delgado(8-Long Beach,Sr.) 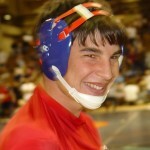 in the 2007 New York State 152lbs D1 Finals by the score of 5-2. I decided to start by interviewing Howie Greenblatt, the Head Coach of MacArthur High School for the past 24 years. During this time at the head of Nassau County’s current wrestling dynasty, Greenblatt has remained so modest and focused on the objective at hand that hardly have we heard a word about the man or his team first concept outside of the occasional rumor and/or idol forum chatter. For this reason, as well as the fact that the Generals are coming off of their 7th County title, I perceived Howie to an ideal subject to profile. 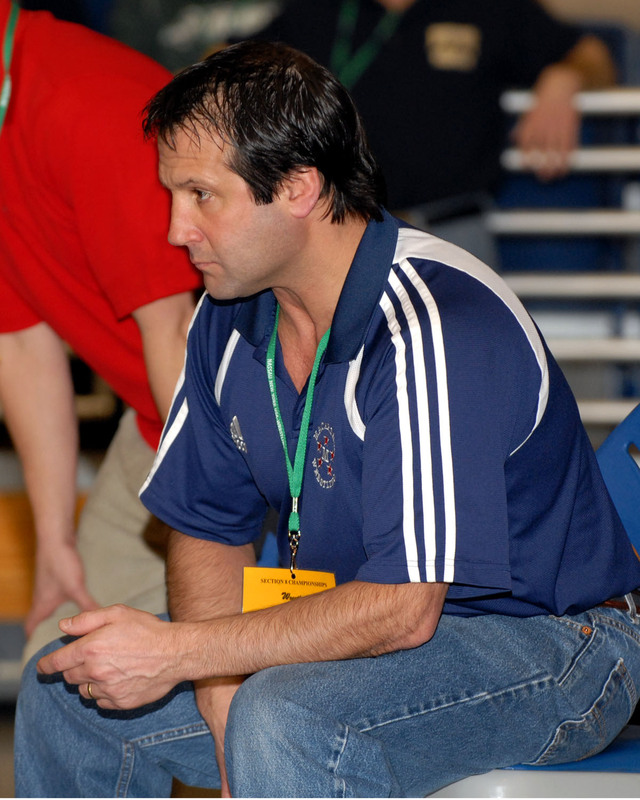 Because of a lack of sufficient coverage of the sport of wrestling by Newsday and/or other local media outlets, I’ve long wanted to be the one who finally brought the sport into the mainstream through the introduction of home grown coverage …I decided to start by interviewing Howie Greenblatt, the Head Coach of MacArthur High School for the past 24 years. During this time at the head of Nassau County’s current wrestling dynasty, Greenblatt has remained so modest and focused on the objective at hand that hardly have we heard a word about the man or his team first concept outside of the occasional rumor and/or idol forum chatter. For this reason, as well as the fact that the Generals are coming off of their 7th County title, I perceived Howie to an ideal subject to profile. Paul Liguori wins his second state title at 112lbs as he defeats T.J. Poplizio of Shenendehowa 11-4. Steve Keith wins the 96lb weight class in the 2007 NYS finals. On Sunday Strong Island hosted their first annual wrestling tournament at Nassau community college. It was well attended by Suffolk, Nassau, City, and New Jersey wrestlers. On Sunday, October, 26th Strong Island hosted their first annual wrestling tournament at Nassau community college. It was well attended by Suffolk, Nassau, City, and New Jersey wrestlers. Suffolk county had a very strong turnout at the event. At least half the wrestlers in every bracket were Suffolk county wrestlers. A very skilled and powerful Paul Liguori defeats a very formidable opponent, Jamie Franco, by the score 3-1 in the finals of the Massapequa Holiday Tournament on December 29, 2007. A very skilled and powerful Paul Liguori defeats a very formidable opponent, Jamie Franco, by the score of 3-1 in the finals of the Massapequa Holiday Tournament on December 29, 2007. Paul exhibits tough defense on his feat while demonstrating the temperament of a skilled champion with his patience in neutral postion. Paul doesn’t take any sloppy shots, and he never allows the pressure of a close match against the accomplished Jamie Franco to disturb his focus. Watch these two champions battle it out. It’s a treat. 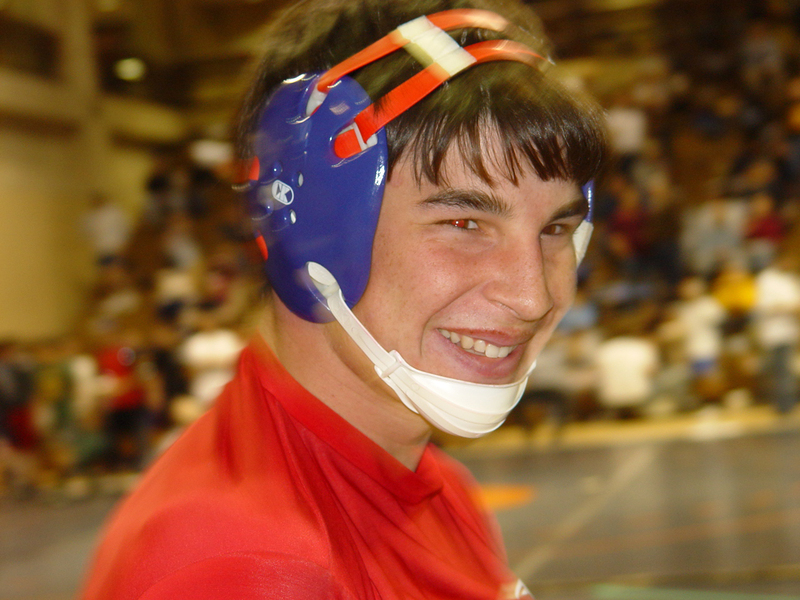 The very exciting 2006 Nassau county championship wrestling finals @145lb weight class. Paul Fiorio (LaSalle-2, Sr.) dec. C.J. Rodriguez (North Rockland-1, Sr.), 8-7. New York state wrestling championships 2005 at Pepsi Arena in Albany. This is the controversial match of the 2005 NYS Champships where Paul Fiorio was awarded 2 penalty points when CJ threw his head gear into the air in jubulation. Troy nickerson wins 5th New York State title at the 125lb weight class in the Pepsi Arena at Albany NY.